여러분 한 주일 동안 안녕하셨습니까? 웰컴투아메리카의 박형권입니다. 오늘도 리오라 앤더슨이 자리를 같이 하겠습니다. 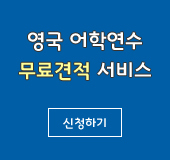 요즘 길거리에 나가면 상점마다 봄 옷이 가득한데요, 리오라 선생님은 물건을 구경하고 사는 쇼핑을 좋아하시죠? Oh, I love to shop. I love to shop anywhere. I love to go to the mall because of the variety of stores that are at the mall. 커다란 건물 안에 백화점과 크고 작은 상점들이 있는 실내 ‘shopping center’를 미국에서는 ‘shopping mall’, 또는 줄여서 ‘mall’이라고 하지요. Usually there are several big department stores, and then I like the little small shops that are at the malls also. 그리고 대형 생활용품 매장인 ‘supermarket’이나 식품점인 ‘grocery’ 같은 곳에서도 쇼핑을 할 수 있죠? I don’t mind grocery shopping as much when I get to go to a large supermarket because of the variety of products that I can find at the supermarket. ‘grocery’는 ‘supermarket’보다는 규모가 좀 작고 식품을 주로 취급하는 식품점을 말하지요. A grocery store is usually a little smaller. They are not as big... and they concentrate on just grocery items. ‘supermarket’ 슈퍼마켓은 ‘grocery’보다는 규모가 더 크고 판매하는 제품도 훨씬 더 다양하지요. 슈퍼마켓에서는 식품 뿐 아니라 접시, 유리제품, 주방 용품, 자동차 용품, 옷, 화장품, 각종 건강보조식품, 전기 제품, 꽃, 술(주류), 서적과 신문, 육아용품과 장난감 등 다양한 제품을 판매하지요. At many supermarkets they have other smaller stores inside the supermarket. You can sometimes find a Starbucks there. And sometimes there’s a pharmacy there. 슈퍼마켓에는 건강보조식품이나 의사의 처방전 없이 살 수 있는 약품들을 살 수 있고, 의사의 처방전을 받아서 약을 조제해주는 약국이 있는 경우도 많지요. 미국에서 가장 유명한 슈퍼마켓 체인은 무엇이 있습니까? ‘Wal-Mart’도 있고요. 요즘은 ‘hypermarket’, 또는 ‘superstore’라고 부르는 종합 유통 매장이 많이 생겨나고 있습니다. 슈퍼마켓보다 규모가 크고 슈퍼마켓과 백화점을 합친 개념의 종합 유통 매장이라고 할 수 있습니다. A supermarket sells food and a variety of household items. Drugstores usually have pharmacy where you can get your prescription filled. And then they sell over the counter medicine. They usually sell cosmetics and beauty items. And then they usually have household supplies. ‘drugstore’는 의약품 관련 제품들을 판매하고 특히 over-the-counter, 의사의 처방전 없이 살 수 있는 약품들과 가정 용품들을 판매하는 곳입니다. 그렇지만 그 규모가 상당히 크지요. Drug stores sell over-the-counter medicines and other household supplies. 쇼핑 센터인 ‘mall’은 대부분 구조가 거의 비슷하죠? Sometimes malls are laid out in the same way. They usually have a center area; they usually have a food court. And I’ve been to more malls than probably any other citizen of the United States. I try to visit every mall that’s near by. 쇼핑몰에서 시간을 많이 보내는 사람을 ‘mall rat’이라고 하는데요, 리오라 선생님도 ‘mall rat’이 아닌가요? Yes, I’m probably a mall rat. Many people in the United States go to the mall because they let people come in early. The stores aren’t open, but they open the main doors and let people walk and get exercise. And they can walk all through the mall and be undercover from the cold or snow or rain. It’s especially popular for senior citizens. They meet there at 9:00 o’clock or 8:00 o’clock in the morning and walk around the mall. And it’s indoors, and it’s a little more comfortable than walking outside. 쇼핑몰에서 하루 종일 시간을 보낼 수 있겠군요. 웰컴투아메리카, 오늘은 쇼핑몰과 슈퍼마켓에 관한 이야기를 나눠봤습니다. 지금까지 저 박형권이었고요, 리오라 앤더슨과 함께 했습니다. 다음 주 이 시간 다시 찾아뵐 때까지 행복한 한 주일 보내시길 바랍니다. 안녕히 계십시오.